George Strait announces 30th studio album: "Honky Tonk Time Machine." Due out March 29 - Newhillbilly website. 100% American Roots Music. 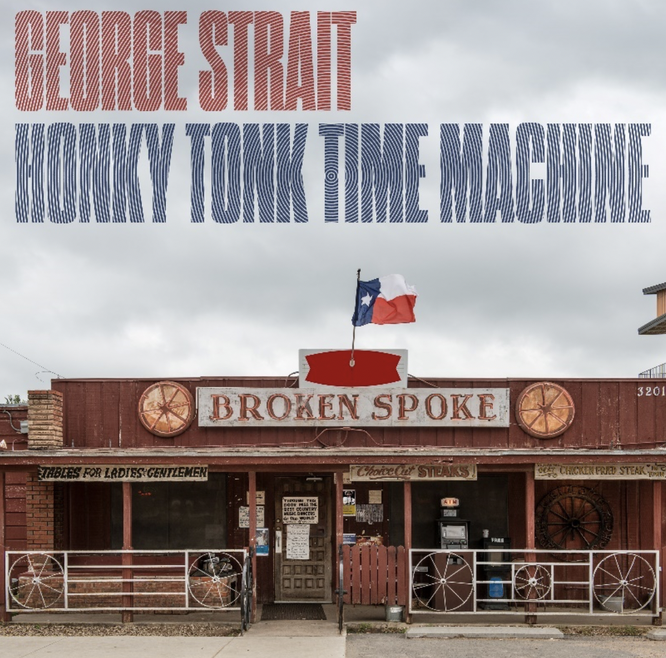 Iconic entertainer and King of Country Music George Strait announces today his brand-new album Honky Tonk Time Machine due out Friday, March 29 on MCA Nashville. Comprised of 12 original titles plus Strait’s version of the Johnny Paycheck classic “Old Violin,” Honky Tonk Time Machine marks an incredible 30th career studio album for Strait. Fans can hear another new song “Código” now HERE. “God and Country Music,” written by Luke Laird, Barry Dean and Lori McKenna, introduces a very special vocal guest, Strait’s grandson, Harvey Strait.